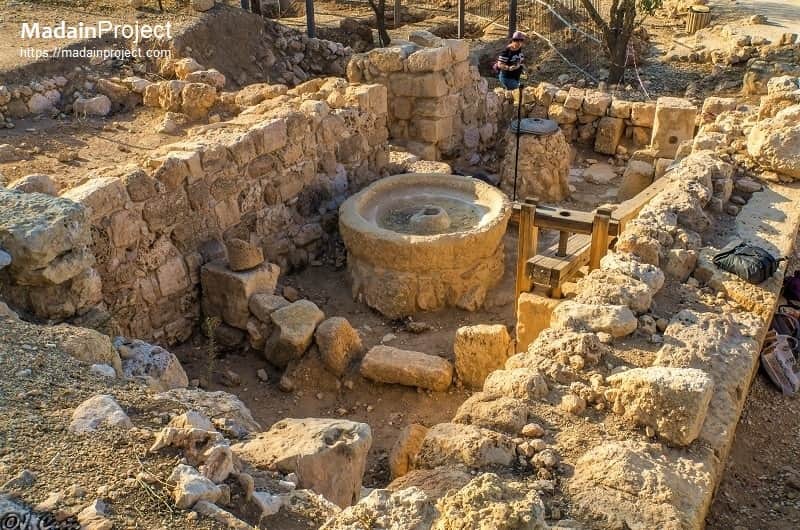 This Abbasid era oil press in Tel Shiloh is located close to the Masjid al-Yatimi, in a structure dating to the late Byzantine or Umayyad Periods. 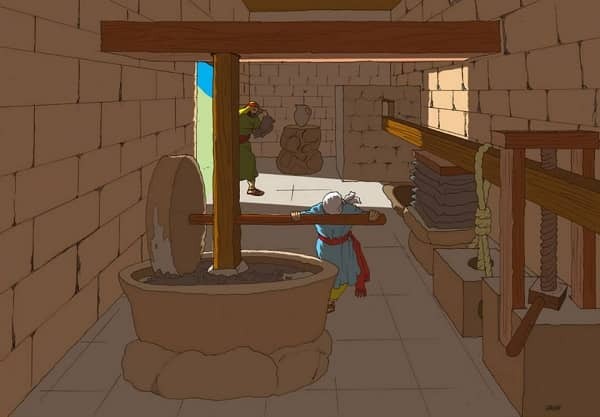 Although the olive press dates back to the Abbasid Caliphate circa 800 CE the structure it self dates back to either late Byzantine or early Umayyad periods. A stone in secondary use with a carved relief depicting a bull, which probably dates to the late Roman period is incorporated in the western wall of the Structure. 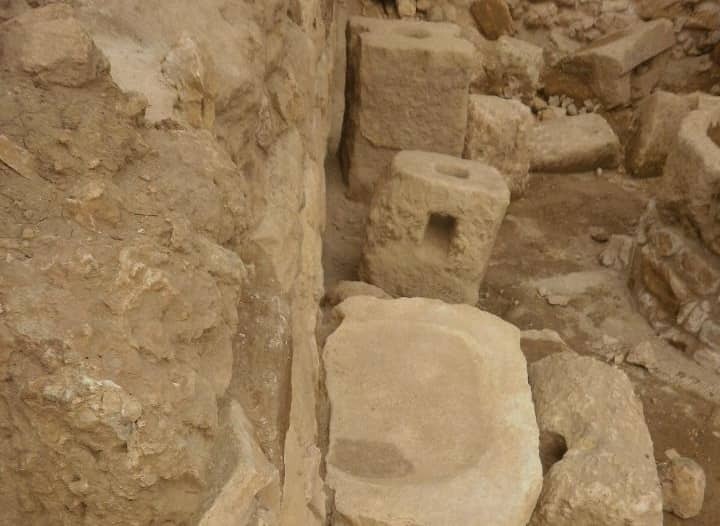 The olive oil press unearthed during a recent (2015 CE) excavation headed by archaeologist Dr. Ofer Gat. A large stock of charred olive pits was found near the press, along with shards from terra-cotta candles and light cones characteristic of that period. Inner exposure of the western wall that contains a re-used stone with a Roman or Byzantine carved bull relief. 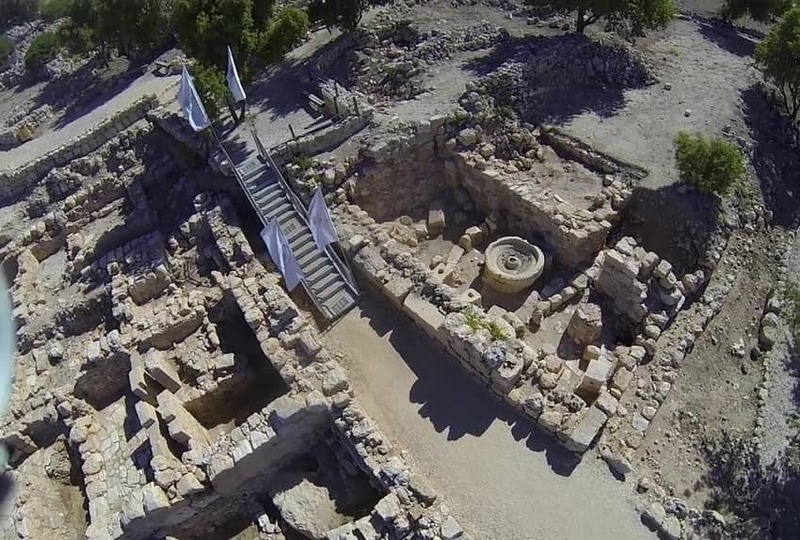 Aerial view of the Abbasid era olive oil press inside an older Roman/Umayyad era structure. 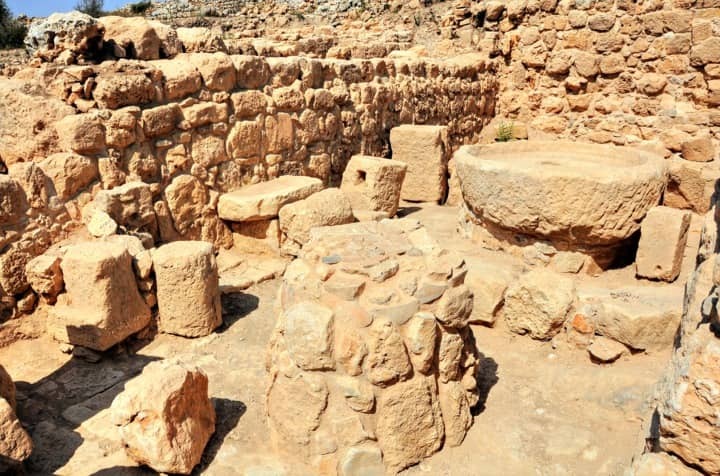 It is located in the southern area of excavations, surrounded by building dating back to late Roman/Umayyad periods and where Jama al-Yatimi is situated.